Once you’re all set up, Twitter will then text a code number to your phone number when you want to log in. Recently, Twitter has also added security key support. As with other services mentioned above, you can generate a backup code to use when you’re traveling and will be without internet or cell service. 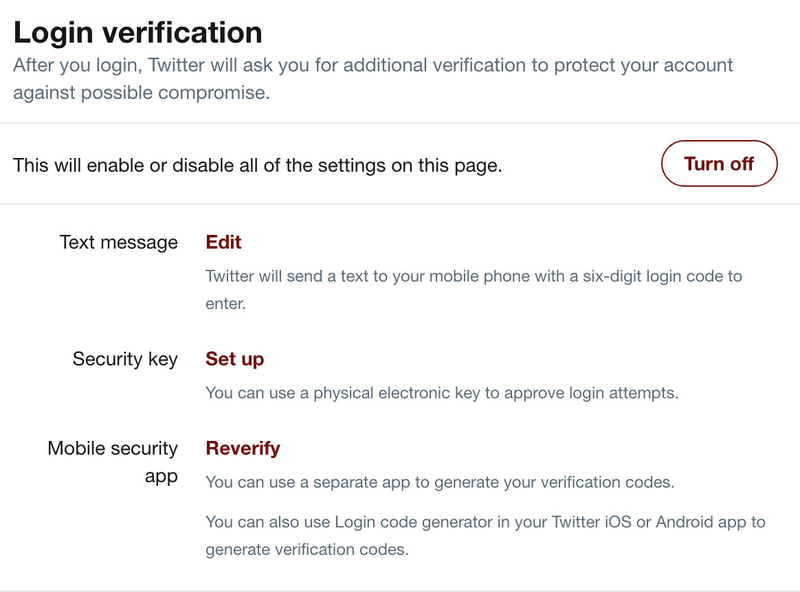 If you have a verified Twitter profile, you may see the option to create a temporary app password that you can use to log in from other devices. This can be used to log into third-party apps if you have them linked to your Twitter account. Note that the temporary password expires one hour after being generated.